Influencing public opinion and behavior is a complicated art, and hitting all the right notes in your advertising and marketing is rarely an easy task. That’s why developing a solid brand and market strategy is so very important. We’ve compiled thumbnails on 25 efforts that haven’t worked out so well. They are organized in three categories: strategy-thin campaigns, great companies that made huge strategic errors, and seriously flawed brand extensions. We study history to avoid its mistakes! Farewell to the King The folks at Burger King tried to make a star out of the burger King for years, starting in 2003, and all they ever got was that same consensus reaction: creepy. Of course, they didn’t set a good precedent with the King in their initial commercial (who wants to wake up in bed next to a guy with a head the size of the Elephant Man’s? 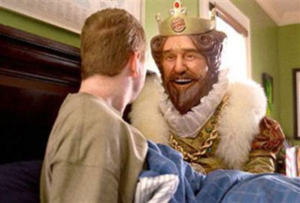 )The next quarter sales for BK were down 6 percent, and while we don’t think it’s fair to lay it all at his throne, the King certainly didn’t help matters. New Coke New Coke tampered with a century old formula that, despite falling market shares, still resonated soundly with the public. What made New Coke such a bad marketing idea is that it essentially celebrated 100 years of a popular product by throwing out the formula people had grown to love and replacing it with something unproven. Coca-Cola executives soon learned from the mistake however, and brought back the old formula. Ford Edsel The Ford Edsel costFord Motor Company a $400 million investmentbefore crashing and burning inside of three years. 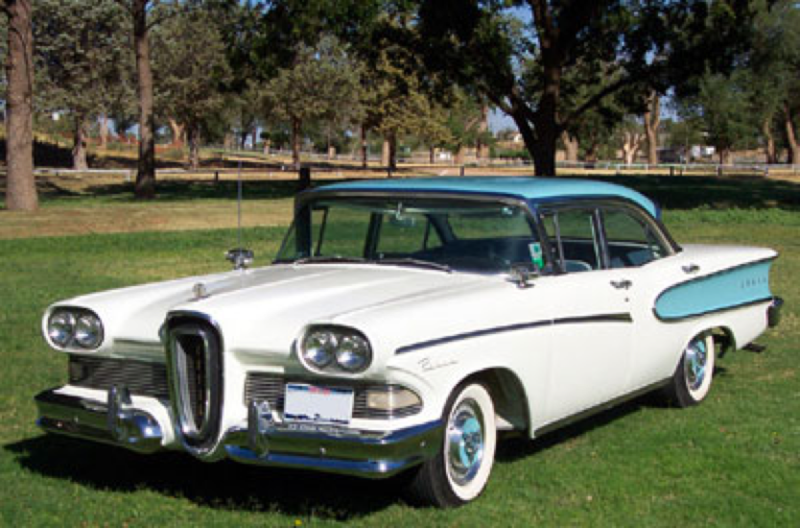 One of the biggest problems with the Edsel was that it was competing against itself, matching retail value on many of the cars in Ford’s established Mercury line without bringing anything new to the table. Another problem was the economic recession of 1957. And still another was the fact that it was a jumble of both Ford and Mercury parts with zero quality control since there was no separate Edsel manufacturing facility. This led to a number of mechanical issues that killed demand. Levi's' "Hotness Comes in All Shapes and Sizes" According to the Centers for Disease Control and Prevention, the average American woman weighs in at about 166 pounds. But that’s not really the image of women that media portray in most advertising. So kudos to Levi for creating an ad campaign called "Hotness Comes in All Shapes and Sizes" for its new Curve ID jeans. The campaign meant to target the average American woman looking for an affordable pair of fits-you-in-all-the-right-places jeans. This could have been a great marketing campaign ... if Levi's followed-through on its tagline. Instead, the company chose what are considered "skinny" models who definitely don’t represent the average American woman. Vomit Girl from Microsoft Dean Cain starred in the 2009 Microsoftad campaign, known as the “Oh my gosh, I’m gonna puke”commercial (see video here), that announced the arrival of Internet Explorer 8. While you do have to give the company some props for humor, that is negated by the fact they lost sight of their target audience: virtually every computer user in the world. The ad features a wife asking to use her husband’s laptop when he’s through. What she sees launches her into a vomiting frenzy. Ayds Diet Candy After a strong sales showing in the appetite suppressant market during the 70’s, the Ayds brand had the unfortunate circumstance of trying to find an audience right around the time AIDS was terrifying people around the world. Considering that AIDS was, at the time, a disease that withered its victims away to nothing, the fact that Ayds was sold as a weight loss product created a sort of double whammy for the marketing campaign. Sometimes marketing disasters are man-made. For this one, outside circumstances seemed to play a significant role. 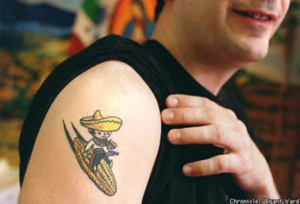 Casa Sanchez Tattoos Marketing experts agree that the San Francisco eatery Casa Sanchez would have lost millions of dollars had they not capped off the craziness surrounding their 1999 tattoos promotion. According to the campaign, if a customer got a tattoo of the Casa Sanchez logo, they could eat there for free for the rest of their lives. Co-owner Martha Sanchez didn’t expect there to be a huge response, butthey quickly had to cap the number at 50. The promotion was revamped by Casa Sanchez, though wisely, with new res The tattoo must be a certain size. The meal is only one per day. Skittles Kill People: Touch the Rainbow Campaign Skittles took a page out of the King Midas playbook with their 2008 ad campaign about a guy, who turns everything he touches into Skittles. This somewhat clever ploy takes a dark turn, however, when the man in question bemoans the curse that his Skittles Touch truly is, stating that he can’t hold his newborn grandson in his arms and that he accidentally killed a man on the bus that he met earlier in the day. “He’ll never see his family again. Life Call: I’ve Fallen and I Can’t Get Up Life Call’s product was designed to help senior citizens, and we suppose it did. But with the horribly acted 1989 commercials--you remember “I’m having chest pains!” and “I’ve fallen. And I CAN’T GET UP!”--the company turned situations that were meant to be serious into fodder for just about every bad sitcom and stand-up comedian for decades. McDonald's' "#McDStories" While baseball is touted as America’s favorite pastime, one could argue that McDonald’s is America’s favorite fast food joint. But when you combine the cautionary tale of 2006’s Fast Food Nationwith the movement of eating local, organic foods, you could have a potential recipe for a marketing disaster. So when McDonald’s tried to utilize social media to get some feedback from consumers on the McDonald’s experience, it created the #McDStories hashtag. It all started from McDonald’s official Twitter handle, @McDonalds, with the following tweet: “’When u make something w/pride, people can taste it:’ McD potato supplier.” Seems harmless enough. But McDonald’s should have known better. People don’t eat McDonald’s for the fresh, wholesome ingredients it puts in its food. In fact, they eat McDonald’s without caring what’s in it because it’s easily available, cheap, and tastes good. So, what happened was the hashtag took off and tweets like this came flying in: “#McDStories- I just read that McDonalds chicken nuggets have a foaming agent in them, similar to products used for building materials.” McDonald’s clearly didn’t think this one through. These days, people are starting to care about what’s in their food and how it’s made. And since they were given the opportunity, cynics and critics jumped on the hashtag in a negative way. Huggies' "Have Dads Put Huggies to the Test" Imagine if someone were to ask, "What do you think a typical family looks like?" There would be many answers because every family is different. One stereotype that’s been turned on its head is that it’s the mother who is the main caregiver for the children of the family -- and that’s just not universally true anymore. Families come in all shapes and sizes and in all different kinds of configurations, and stay-at-home dads aren’t a rare breed. Unfortunately, Huggies didn’t portray the image of the modern-day family with its campaign "Have Dads Put Huggies to the Test," showing TV commercials in which dads were being inattentive to babies with full diapers. This scenario was explained by Huggies (in a voiceover) that Huggies diapers can handle anything, implying that it's okay for dads to leave a full diaper on a baby because, hey, Huggies can handle it! The commercial made it seem like it was putting dads to the test, not diapers. The backlash was so severe that it caused a full-time stay-at-home father to create the petition "We’re Dads, Huggies. Not Dummies." Huggies eventually removed the ads. Nesquik's "National Bunny Ears Day" This Nesquik marketing campaign starts with good intentions and, actually, was really a good idea. Since the Nesquik Bunny is the brand's mascot, the company decided to develop a mobile app that "bunny-fied" photos by adding in cute bunny ears. The company promoted its new app alongside the creation of "National Bunny Ears Day," asking its followers to share their bunny-fied photos on the day through Twitter and Instagram using the hashtag #nationalbunnyearsday. The reason this campaign failed may not be obvious, but here it is: Nobody cared about it. Not one bit. The hashtag received two mentions on Instagram and nine mentions on Twitter, even with celebrities involved. Had Nesquik tied its idea to a bigger industry event or holiday (not a day it made up) or paired it with an interesting announcement, it could have really taken off. Instead, it was quickly buried in the newsfeed of Nesquik’s fans and followers, soon to be forgotten. Even great companies can fall into strategic traps, in which leaders fixate on what made them successful and fail to notice when something new is displacing it, or when a company focuses purely on the marketplace of today and fails to anticipate the future. Blockbuster. This video-rental chain survived the transition from VHS to DVD just fine—but then failed to adapt to the next big change. Blockbuster remained flat-footed when Netflix started sending videos through the mail, cable and phone companies started offering video-on-demand, and Redbox started renting videos for a buck a night through vending machines. Now that video streams through computers and phones, Blockbuster's conventional retail outlets seemed hopelessly outdated. The company was doomed. Eastman Kodak.For nearly a century, no company commercialized the camera as successfully as Kodak, whose breakthroughs included the Brownie camera in 1900, Kodachrome color film, the handheld movie camera, and the easy-load Instamatic camera. But Kodak's storied run began to end with the advent of digital photography and all the printers, software, file sharing, and third-party apps that Kodak mostly missed out on. Since the late 1980s, Kodak has tried to expand into pharmaceuticals, memory chips, healthcare imaging, document management, and many other fields, but the magic has never returned. Its stock price plummeted. Sears. Many people still call it the Sears Tower, but Chicago's tallest building is now officially the Willis Tower, named after a British insurance broker that is one of its main tenants. Sears moved out long ago—and also surrendered the spirit associated with such an architectural landmark. In earlier days, Sears put catalogs on the map, sold suburban Americans many of their household belongings (even Sears catalog homes), and introduced sturdy, affordable brands like Craftsman and Kenmore. But later in life, Sears stood flat-footed as competitors like Wal-Mart, Target, and Amazon chewed up its turf. Sears has dabbled in insurance, financial services, real estate, Internet service, and many other business lines as it has tried to find its way. Yet it's still looking for a winning strategy, and is now paired with Kmart in a kind of faded-glory holding company. Sony. Not long ago, the Walkman was as ubiquitous as the iPod is today, and Sony dominated the market for TVs, cameras, video recorders, and many other consumer electronics. But as Sony became a huge conglomerate with film and music divisions, it lost leadership in many of its core product lines. What tripped up Sony and some of its competitors was the move from hardware to software, which put the emphasis on the brains of the device rather than the circuitry. As a result, faster-moving competitors like LG, Samsung, Vizio, Apple, and the various makers of cell phones—which of course come with cameras—have outpaced this old-school innovator. Toys "R" Us. This retailer thrived in the '80s and '90s, as its concept for specialty megastores aligned with a surge in American consumption. As it went national, Toys "R" Us drove many competitors out of business and gobbled up others. Then the tables turned, with the once-mighty toy giant suddenly bested by discounters like Wal-Mart and Target, online sites like Amazon, and smaller merchants with better quality and service. As of earlier this year, Toys R Us, R now more. Smith and Wesson Mountain Bikes A study commissioned by Smith and Wesson found that brand awareness was so strong, the company would consider S&W not only for handguns but for other products as well. On the back of that glowing recommendation, S&W decided to branch out into mountain bikes. In fact, S&W had been manufacturing bikes for law enforcement, security and emergency response since 1997, and in 2002 it took another step by offering the bikes to the civilian market. They should have stuck to guns. 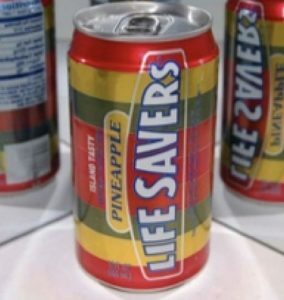 and mints in the USA, but that success didn’t rub off on Life Saver Soda. Maybe it was a problem with the flavor? No, the product scored well in taste tests. Maybe it was brand recognition – after all, the soda market has some pretty heavy hitters. Actually, the opposite was true: customers recognized it too well. ‘The Life Savers name,’ according to one brand critic, ‘gave customers the impression they would be drinking liquid candy. Coors Rocky Mountain Spring Water The trouble with being a famous beer company is that people associate you with beer, and the furthest thing from beer is water. Rocky Mountain Spring Water really was spring water from the Rocky Mountains, but Coors customers just weren’t interested. 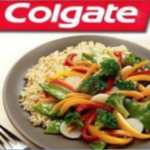 Colgate Kitchen Entrees This is a repeat of the Coors blunder. What makes food taste bad? Toothpaste. Toothpaste is the opposite of food. 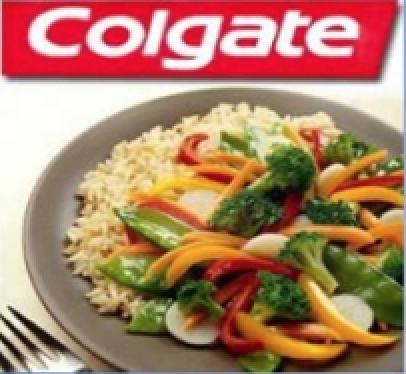 Coors shouldn’t try to minister to your hangover; Colgate shouldn’t make food. Consumers agreed and the product flopped hard. Kellogg’s Breakfast mates Breakfast Mates was a whole breakfast cereal experience in a box. Cereal, milk and a spoon – all you had to do was mix and eat. The product fell on its design flaws – aimed at children, the packaging wasn’t child friendly, and while the milk in it didn’t require refrigeration, no-one really likes warm milk. Frito Lay Lemonade Evidently Frito Lay wasn’t watching Coors and Colgate. Frito Lay makes corn chips, which are salty and make you thirsty. But when people are shopping for lemonade, they’re inexplicably un-attracted to a brand that reminds them of feeling thirsty, and the product tanked. Harley Davidson Perfume Nothing says all-American masculinity like perfume?! Meanwhile, when customers were asked what they most wanted a perfume to smell like, they overwhelmingly answered, ‘motorcycles? !’ Brand associations and a backlash from fans of the brand did this one in.